ACS Registrars can now provide UKAS Accredited ISO 45001 Certification to any organisation wishing to migrate from OHSAS 18001:2007 or to gain ISO 45001 Certification. The OHSAS 18001 standard is internationally accepted as a method of assessing and auditing occupational health and safety management systems. Developed by leading trade and international standards bodies, it provides a framework for organisations to instigate proper and effective management of health & safety in the workplace. The standard will be revised and incorporated into ISO 45001 over a 3 year migration period ending on 12th March 2021. After this date, the OHSAS 18001 standard will be withdrawn, see below for more information. By having a clearly defined management system in place to identify and control health and safety risks, organisations are able to minimise risks to their workforce and visitors or external contractors on their premises. The standard will enable organisations to put in place processes for continually reviewing and improving occupational health and safety. 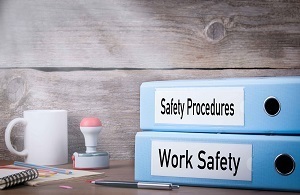 Achieving a structured health and safety management system throughout the organisation will demonstrate your commitment to the welfare of your staff and external parties. The development of a robust and manageable system will provide benefits to the organisation and its workforce. Cost savings and a reduction in accidents are just two of the many benefits. Click here to read about some of the other benefits of achieving certification. OHSAS 18001/ISO 45001 is suitable for all types of organisation wanting to become more efficient in managing and reducing accidents in the workplace. By setting up systems that are assessed by a third party certification body, organisations will prove to their staff, suppliers and customers that they take health and safety seriously. OHSAS 18001/ISO 45001 accreditation provides a framework to help organisations meet their legal obligations to Health and Safety in the workplace. The audit can be undertaken by a number of Certification bodies, however, it is important to note that not all auditing organisations are UKAS accredited. If you do not use a UKAS accredited auditor your certification could end up being worthless. ACS Registrars have UKAS accreditation so before you start, contact us to find out more. The current OHAS 18001 standard that provides an internationally recognised health and safety management system is being revised and incorporated into the new ISO 45001 standard. For organisations already certified to OHSAS 18001, there will be a 3-year migration period to enable them to update their systems to the new standard. If you have recently transitioned to ISO 9001:2015 or ISO 14001:2015, you will be familiar with the new format. This uses Annex SL to provide a common structure for smoother and quicker integration of multiple standards. One of the first tasks we would recommend is a gap analysis to identify the changes you will need to make to your management systems to meet the new standard. Obtaining a copy of the new standard and researching the significant changes. Developing a plan for training and awareness to all relevant management levels. Improving your risk management planning. Considering a gap analysis to identify changes required. Involving top management to take accountability for the management system. Thinking about integrating other management system standards in line with ANNEX SL. One of the advantages of moving to the ISO platform is that it will fall in line with the other generic management systems ISO 9001 and ISO 14001. Both of which have recently been revised to provide a new high-level structure/format. Call us if you would like more information. Or for a free Quote click button.